Breaking Up Via Text Message: Who Gets the Ring? The romance began on a golf course in New York. Two years later, during a vacation in Florida, Louis Billittier proposed to Christa Clark with a $53-thousand dollar diamond ring. Billittier was 53-years old – Clark 36. Despite the age difference, they were by all accounts madly in love. Clark’s family immediately began planning a big wedding, but very soon, there was a problem in the making. Christa did not want to sign a pre-nuptial agreement that Billittier was insistent upon. According to reports, Billittier, during the relationship, paid for Clark’s cell phone, her health insurance and her car. They lived together in his luxurious home, and he had given her gifts of diamonds and sapphires during their time together. However, with the wedding just two months away, Billittier broke off the engagement. 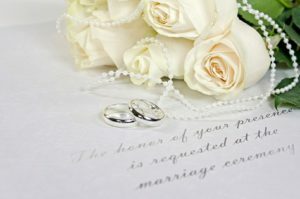 After an apparent phone conversation during which the couple discussed whether or not they should even get married, he did the next worse thing. The next day Louis broke up with Christa – via text message. Billittier reimbursed Clark’s family for the almost $10-thousand they had already spent on wedding preparations. But in a subsequent text, he demanded that the ring be returned to him. “By law, you have to give it back,” he texted. When she didn’t, he sued. Unlike most cases, where the engagement ring usually goes back to the “giver”, a judge in this case made a unique judgement. He said that the text message carried weight. “Parting gift” meant just what it said, and he ordered that Clark would keep the ring. This judge ruled that words, indeed, mean something.